What do you do when you wake up and feel like you're not enough for your life? Or when you look out the kitchen window as dusk falls and wonder how do you live when life keeps breaking your heart? As Ann Voskamp writes, "great grief isn't meant to fit inside your body. It's why your heart breaks." And each of us holds enough brokenness to overflow - to be given as the greatest story of our lives. In 60 vulnerably soulful stories, The Way of Abundance moves from self-weary brokenness to Christ-focused givenness. Do the voices in your head say you're not good enough, smart enough, pretty enough...or just not enough, period? It's time to stop listening to lies that sabotage your confidence and embrace the truth of who God says you are. 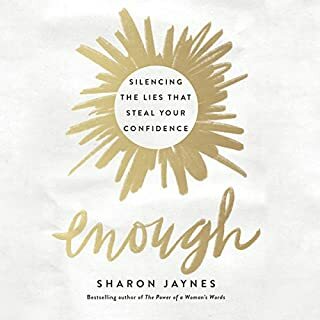 Popular author and speaker Sharon Jaynes exposes the lies that keep you bogged down in shame, insecurity, and feelings of inadequacy. By recognizing the lies and replacing them with truth, you'll be able to silence the voice inside that whispers you're just not good enough, accept God's grace and move past failures that have defined and confined you. The Psalms call it selah - the pause, rest, or interlude between the notes in a song. More than merely an empty space, selah is a chance to stop and resync with the story and song of God. For all the ways life keeps you running, this word and practice offers a way to re-center yourself on the One who holds all things together and makes all things beautiful. 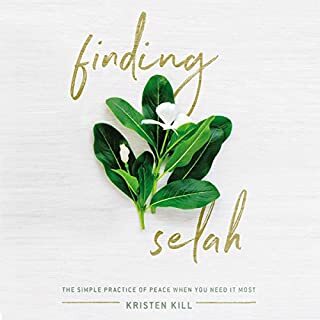 Stretched beyond her capacity in caring for a large family in the middle of Manhattan, Kristen Kill was exhausted, depressed, and desperate for a change. Then something sparked in her when she read the Psalms. 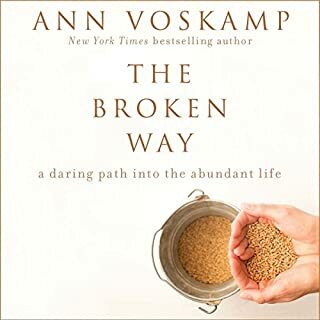 Ann Voskamp, the New York Times best-selling author of One Thousand Gifts, sits at the edge of her life and all of her own unspoken brokenness and asks: What if you really want to live abundantly before it's too late? 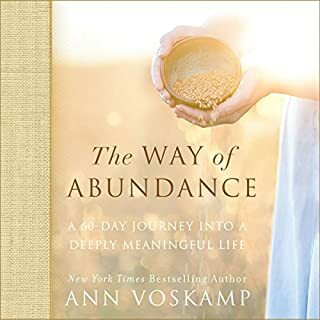 What do you do if you really want to know abundant wholeness? This is the one begging question that’s behind every single aspect of our lives - and one that The Broken Way rises up to explore in the most unexpected ways. If success is defined in the eye of the beholder, who are you letting behold your success? 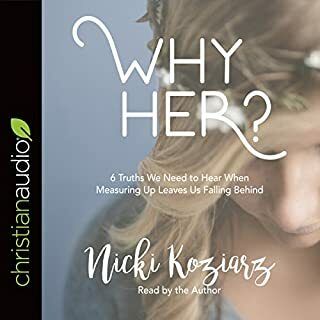 Nicki Koziarz is confronting the comparison question: Why her? Through two striving sisters in the Bible, Nicki uncovered six truths we need to hear when trying to measure up leaves you falling behind. This audiobook can help you stop staring at her success and find satisfaction in yours. 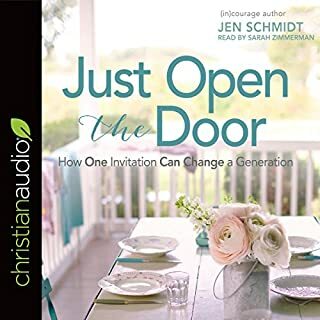 For many of us women, inviting people into our lives and homes feels like inviting judgement of our entertaining skills and stress on our already maxed-out schedules. But what if you knew that opening your front door was a simple and radical way to change the world? Jen Schmidt is determined to prove it to you. She has set out to reframe how we think about hospitality and to encourage us to walk a road of welcome in our everyday lives. She aims to shatter the image of model homes and model lives, replacing it with relatable, everyday invitations. Many of us feel overwhelmed and ill equipped to deal with our personal finances. We wonder if we will ever experience financial freedom. We want to make wise decisions and spend money on what matters, but we just don't know how. 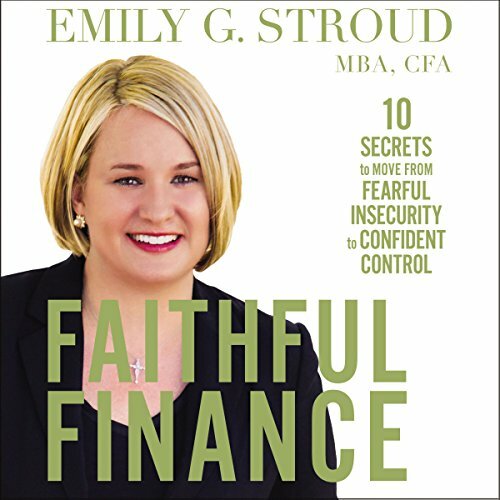 Financial advisor Emily G. Stroud is a mom, a businesswoman, and an entrepreneur. She has two decades of experience with helping people make smart choices about money. She knows that money can be one of the great causes of stress in life - but that it doesn't have to be that way. Finances, in fact, can be a great source of joy, security, and hope. Presented in a conversational style, this practical guide offers 10 life-changing secrets that work in every financial situation, for every income level, at every stage of life. With engaging stories and practical examples, Emily empowers you to make choices that will allow you and your loved ones to enjoy financial freedom for years to come.